The family of a motorcyclist who died in a crash in Manston have issued a tribute in his memory. 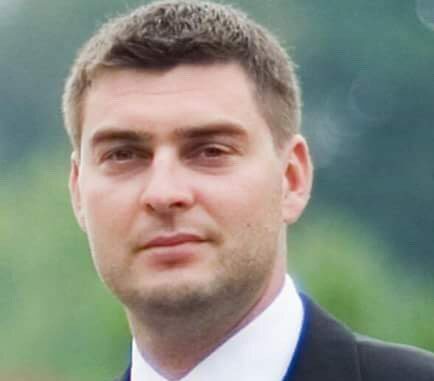 Arturas Butkus, 37, died when his black Triumph Speed Triple was involved in a collision with a white Citroen Berlingo travelling in the opposite direction.The incident happened on the B2190 Spitfire Way, Manston, at 11.25am on Sunday 12 March. A statement released by Mr Butkus’ family said: “Arturas was a hardworking family man. He left behind a loving wife and two young children. It’s believed Mr Butkus ran Continental Patisserie in Ramsgate’s York Street. Officers from Kent Police’s Serious Collision Investigation Unit are continuing to appeal for witnesses of the incident to come forward. PC Jamie Woodhams said: “It appears that for some unknown reason the motorbike was travelling on the wrong side of the road when it was in collision with the Citroen close to the junction with Alland Grange Lane.